This client wanted a natural looking path to their front door. 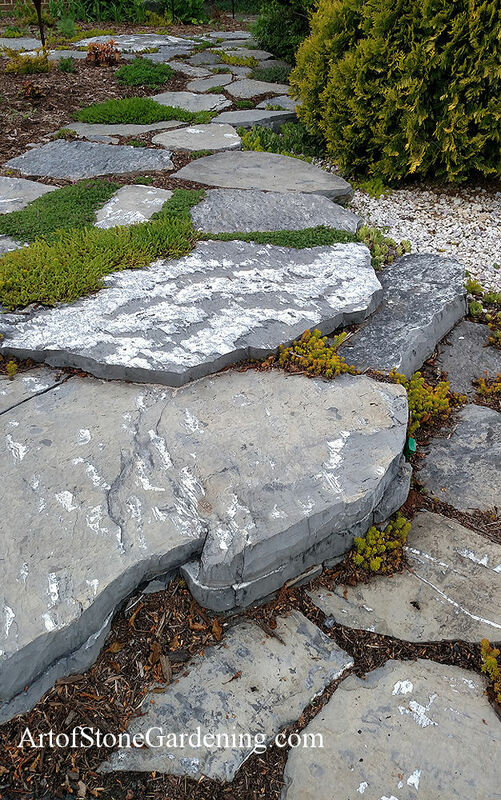 We used large, irregular, Native Virginia stones on a gravel base to keep them from shifting. Between the steps, we planted sedums and thyme. Both of these hardy plants will thrive when planted in gravel and don’t mind being stepped on.